Your MCAT preparation must begin well in advance of the actual test. I don't want to put too much stress on you, but this exam will really affect your chances for a career in medicine. 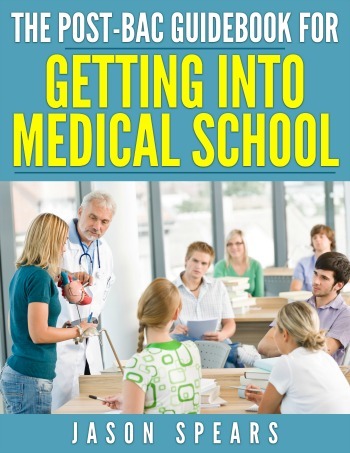 It makes the difference between just getting in or gaining multiple offers from prestigious medical schools. The MCAT is not to be taken lightly, this is a test you want to take once and only once. Don't even go into the test with the mindset, that you can retake it if it doesn't go well. You'll be selling yourself short and retests don't look good on your application. Although, some schools may say we will accept the highest score from each section, you have to remember: all MCAT scores will be available to the admissions committee. The first thing you need to do is decide when you will take the MCAT. Traditionally, this is done in the spring of the year in which you will be applying. March and April are good months to take the MCAT. These months were not chosen at random. You want to be in a position to submit your completed application to AMCAS by June/July. It will take approximately four weeks until you receive your score report. Therefore, you are now already into the month of May. If you happen to do less than stellar you still have time to retake the exam and not fall behind in the application process. To determine how much time you will need to devote to MCAT preparation it is good to take a practice test which simulates the actual testing experience. If you have access to a MCAT diagnostic exam this is great because you can see how well you would perform if taking the test today. When taking your MCAT practice test for the first time do not study in advance. The goal is to see your raw knowledge and what areas are your weaknesses. Any studying would defeat this purpose. When I took my MCAT diagnostic I was disappointed in the score I received. But the good thing I knew what areas I needed to spend extra time in and what sections simply needed a review. This allows for focused and efficient MCAT test prep. Six to twelve weeks is roughly how much time you want to devote to MCAT preparation. If you start too late, with only one month of studying you might not have enough time to learn everything you will need to know. But if you do find yourself in a time crunch or simply want to know how the "smart" kids pass the test, then I would encourage you to check out this amazing book of MCAT secrets. Studying too long can lead to burnout and forgetting certain equations which you memorized four months ago. But there is a great way to ensure what you learned sticks with you throughout your studying for the MCAT. I am a firm believer in repetition and leaving no stone unturned so to speak, therefore if you are serious about getting the score you need for medical school admission, then you must add MCAT flashcards to your study routine. Personal schedules will play a significant role in determining how long you will be preparing for the MCAT. If you are in school full-time you may need the twelve weeks of study time as you juggle your classwork, but if your only task is to study for the MCAT exam then six to eight weeks may be all you need. You know what MCAT score you got on the diagnostic, how you study, what are your other obligations and the score you want on the actual test. Put all of these factors into perspective and devise a study plan which you can stick to. Doing well on the MCAT exam doesn't happen overnight, it is going to take a lot of work and dedication on your end. I speak from experience, I had what I thought was a bad score on my practice test, but was committed to doing everything necessary to improve. In the end, when I took the MCAT I did very well. So hope is never lost, you can always find a way to achieve. Start by setting realistic goals to get the score you want. Aim for something which is doable, but not so low it can easily be accomplished. Remember, the national average for accepted medical students is a 30. Sometimes all you need is some visualization added to your MCAT preparation. Visualization is the process of setting out in advance the outcome which you want. Oprah Winfrey did a special on her show about it and athletes do it all the time. For instance, if you're going to take a game winning shot in basketball (Michael Jordan), he's thinking about the motions, how the ball feels on his fingers, releasing the ball, it falling through the hoop and all the good which comes with winning. Well this same concept can be applied in the academic setting. I received this advice from the teacher of my Kaplan course who scored a 42 on the MCAT. Take three post-its or note cards and in bold lettering put the score you want to receive on each section of the exam (can do the same for writing sample). You have to put the post-its in a place where you can subconsciously think about them every day. The perfect location is your "bathroom mirror" while you brush and floss your teeth each morning and night. This adds up to about six minutes each day of MCAT preparation where you are visualizing how well you will do on the test. Your mind will be ready to absorb the numbers and you'll also be like the professional athletes and other successful individuals in the world. I am saying you are going to get the score on those cards or even come close, but the power of positive thinking, visualization, and adequate MCAT preparation can make all the difference in the world. It may sound far-flung, but you have nothing to lose. 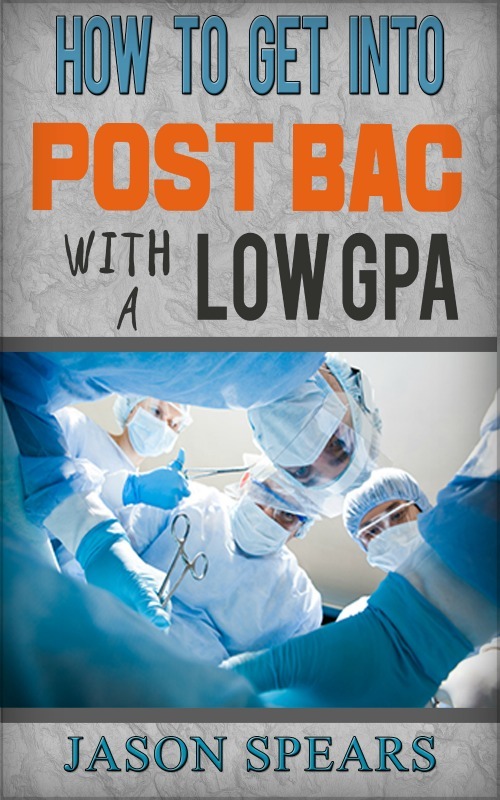 At worst you'll have better oral hygiene because of your MCAT test prep. Before opening your books, using flashcards or taking practice tests you need to know what you want to accomplish. Don't go into your MCAT preparation thinking, "I need to get ready for the MCAT." You need to have specific tasks which you will accomplish for each study session. There are just too many concepts to learn and without a method in place you will surely get lost or not make true progress. The best aspect would be to begin your studies knowing you have X amount of time but will learn thermodynamics when done. Don't ever open your books and think, "oh, I need to learn chemistry today," this will be the beginning of your downfall. When you set time aside to learn something, please know it in its entirety. Don't think you will have time to go back to it and get all the specifics, this won't happen. You have to go into your MCAT preparation assuming you won't have the chance to review it again. You know just as well as I do, that you won't be coming back so stay on task every time you study. This is very basic, but pick a quiet place to study which remains the same. I am a library person so I always went there for my MCAT preparation. If you need to study at home or prefer a cafe try to pick the same spot. Get on a regular study schedule it will do wonders for what you can accomplish and gives regularity to your life. And be sure to alert your family and friends to your study schedule so you don't have interruptions in your MCAT preparation. It may get boring and you might find yourself wanting to take calls while studying, send text messages or all of a sudden find the need to check your email and go online. Save these tasks for another time. While preparing for the MCAT I told myself if I complete section X and section Y, then I deserved about a 10 minute break for my efforts. Don't let this break turn into an extended one where you don't return to your studies. If you don't believe in delayed gratification or lack self control you will end up in a lot of trouble. If you put in the time, study diligently then you should get the MCAT score you want. Comment in the box below. By Jason Spears Copyright © 2008-2019 DoctorPremed.com. All rights reserved.